The Bot Application runs inside an application, like Skype, web chat, Facebook, Message, etc. Users can interact with bots by sending them messages, commands, and inline requests. You control your bots using HTTPS requests to the bot API. In this Article, I am going to show how we can connect Facebook messengers’ channel and integrate Bot Application to the messengers App. The Bot Application runs inside an application, like Skype, web chat, Facebook, Message, etc. Users can interact with bots by sending them messages, commands, and inline requests. You control your bots using HTTPS requests to the bot API. The better the visibility, the higher will be the chance of customers making a purchase. 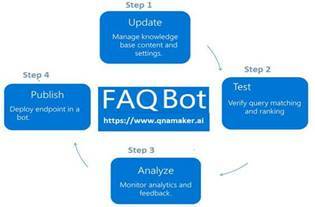 Unlike other bots which are available on business web pages which provide visibility only to the customers visiting their site, a Facebook bot is very easy to find. It is visible to around 1.3 billion users of Facebook. A Facebook bot interacts very well with customers. It can receive and send messages, images and provide clickable buttons like Buy Now. In this article, I am going to show how we can connect Facebook Messenger's channel and integrate Bot Application to the Messenger app. We can implement a Bot Application to the Facebook page. You can create a Facebook page or select an existing page and navigate to “About page” to find and copy the Page ID. Create a new Facebook App on the Page and generate an App ID, App Secret, and Page Access Token for integrating the Bot to the page messenger. You can click on “Skip and Create APP Id” from the following screen. Provide display Name and Contact Email to integrate Bot application and click on Create. After clicking on the Create button, it will navigate to App dashboard screen. The side navigation menu having Settings > Basic and copy the APPID and APP Secret. Provide the Privacy URL, Terms of Service URL, App icon and Select Category. 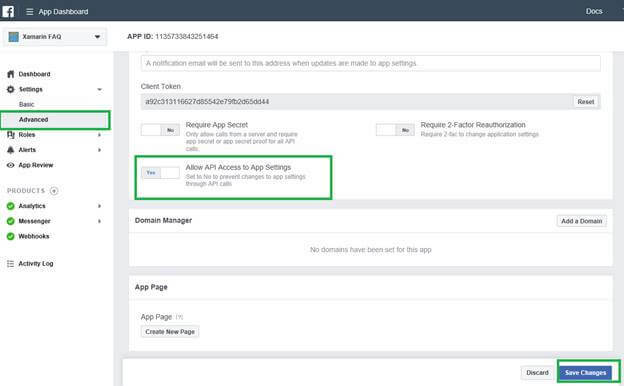 I have shown the following screen to Select Setting > Advanced and Set the "Allow API Access to App Settings slider to "Yes" and clicked on Save Changes. Select the Dashboard and click on the Setup button from the messenger group. Select Settings from the Messenger side navigation menu. To generate token, you can select the Page and generate the access token and copy the page access token. Click Set up Webhooks to forward messaging events from Facebook Messenger to the bot. 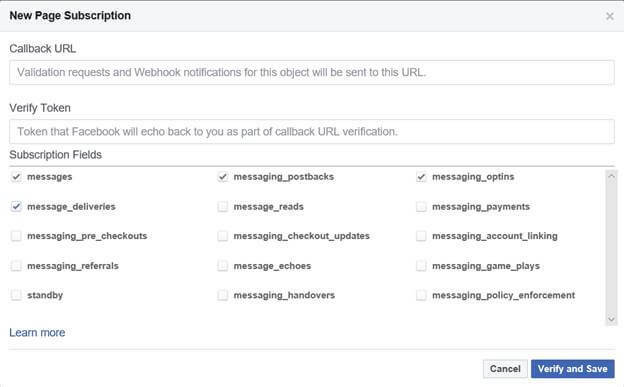 Provide the following callback URL and Verify token to the webhooks setup page and select the message, message_postbacks, messaging_optins, and message_deliveries subscription fields. The following two steps will show how to generate Callback URL and verify token from Azure portal. You can click on “Verify and Save “and select the Facebook page" to Subscribe the webhook to the Facebook page. Login to Azure portal > Select the “All Resources” > Select Channels > Select Facebook Messengers. Let us start to configure the “Facebook Messengers“ Channel and follow the below steps, at the end of this article you will be able to deploy the Bot into the Facebook messenger. The Azure Facebook configuration channel will generate the following Callback URL and verify token. You can copy that information and paste to the Facebook webhook setup screen. (Return to the Facebook messenger setup screen). You can paste the Facebook App ID, Facebook App Secret, Page ID, and Page Access Token values copied from Facebook Messenger previously. You can use the same bot on multiple Facebook pages by adding additional page ids and access tokens. Select App preview and Click and Submit for review. After submitting it will take some time for the Facebook team to test the messenger bot and you can mark your app live available to the public, then you can test messenger from the Facebook page. 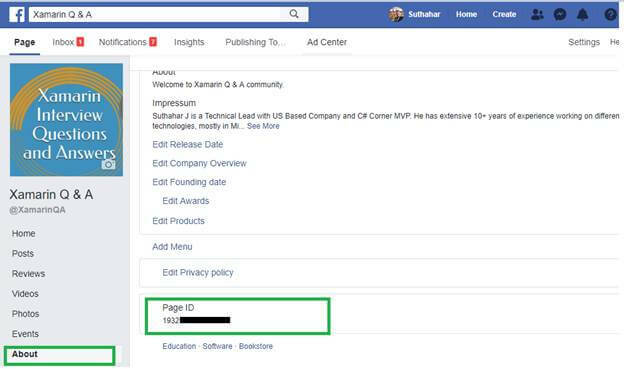 You can verify Facebook team testing progress, navigate to your Facebook page and Click on Inbox and verify, if there is any problem to the messenger bot, the Team will update the bug list from App review screen. You can select your Facebook page and test your bot application. 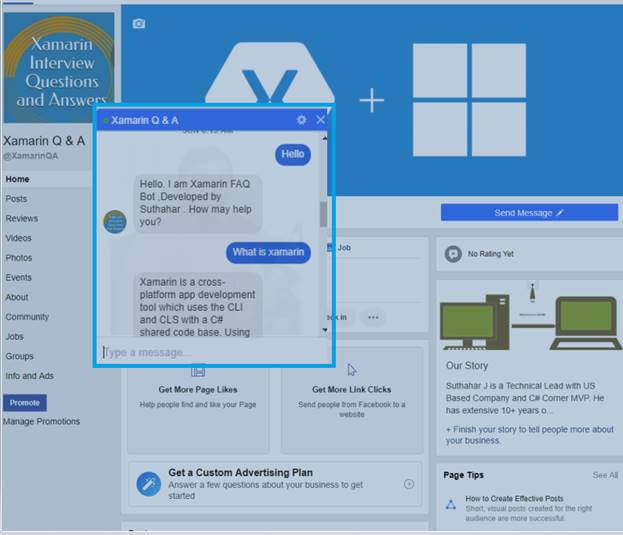 I have trained 7000+ more questions to the Facebook messenger bot from Xamarin Q&A Page if you want to look at the Xamarin FAQ demo. Navigate to Xamarin Q & A Facebook page and ask your Xamarin related questions. 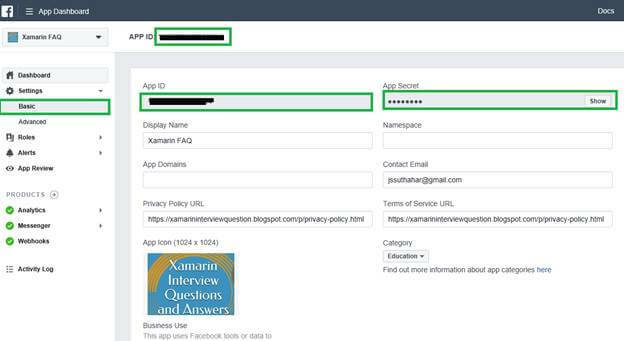 In this article, you have learned how to integrate bot application into your Facebook Page via Azure Microsoft AI. If you have any questions/feedback/issues, please write in the comment box.